Rams garnered a host of awards as it traveled the international film festival circuit in 2015. 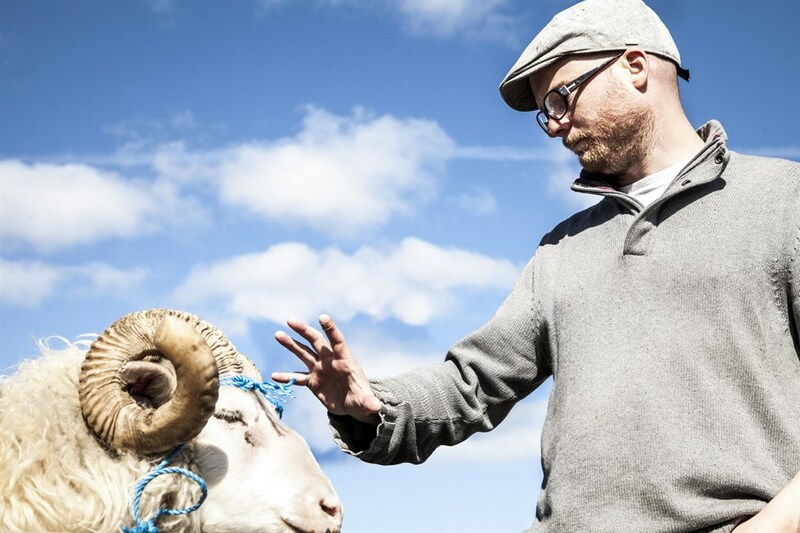 The bleat goes on as the Icelandic feature about feuding sibling shepherds opens around the country (in San Francisco, Friday, Feb 12 at Landmark’s Opera Plaza Cinema) and critics Michael Fox and Dennis Harvey decide whether it merits the hullabaloo. The film’s official website is Rams site. 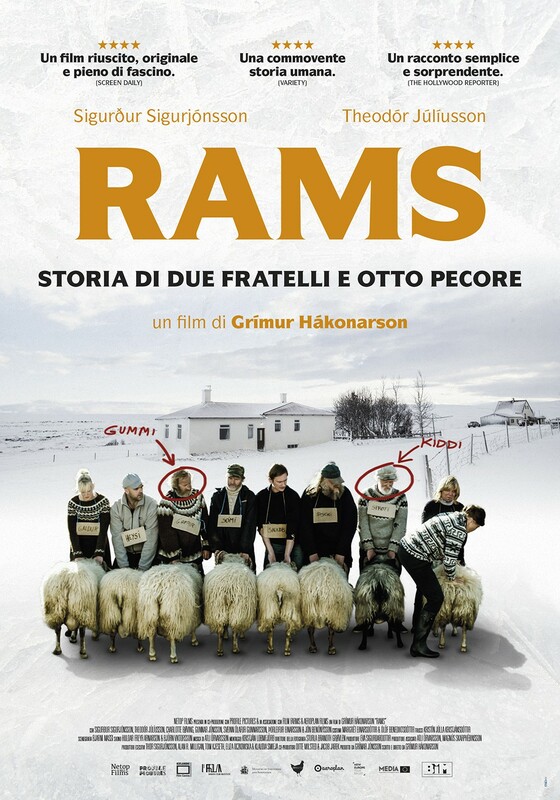 Writer-director Grímur Hákonarson sets his second feature, Rams, in an unpopulated corner of Iceland—a redundancy, to be sure—where the animals outnumber the people. Given that the faunae are sheep and the humans are notable for their persistence more than their intelligence, we set our expectations for a droll and possibly condescending fable of simple lives, genial conformity, minor hardships and gentle lessons. In fact, Rams delivers both more and less than that humble prescription. Iceland has a total population of 330,000 (considerably outnumbered these days by its annual tourist influx), so you might expect it wouldn’t have much of a film industry. And for much of that medium’s history, you would have been right. But in recent decades Icelandic movies have begun to make a name for themselves internationally, with groundbreaking successes from now-leading directors like Fridrik Por Fridriksson (1991’s Children of Nature) and Baltasar Kormakur (2001’s 101 Reykjavik). Instead of a stale scent of nostalgia for better days long gone, an inviting air of mystery attends to the opening reel of Rams. The picturesque vistas of open space seem to suggest possibilities over the next hill, while the lined faces (even obscured by beards) of the taciturn sheep farmers offer the promise of sagas to be revealed. We also detect an undercurrent of unresolved tensions, some lingering and unspoken dissatisfaction that has found a way to co-exist with the forces of nature as manifested by the relentless changing of the seasons, year after year after year. This latent conflict, which Hákonarson deliberately and subtly ratchets until it becomes the movie’s driving engine, is the decades-old grudge between next-door neighbors and septuagenarian brothers Gummi and Kiddi Bolstader. There are little touches, like the way the crusty siblings employ a beloved dog to deliver scrawled missives (since they refuse to speak to each other), that suggest a Nordic comedy of manners. But there are also incidents of such deep rage and irrational brutality we can only deduce that the crimes of the past must approach Biblical depths. A kind of equilibrium — expressed by Hákonarson’s fixed camera — has been achieved by the brothers, and by the rest of the small community that surrounds and includes them. But the diagnosis of one sheep with scrapie sets in motion a cascade of events. Will the crisis, and Kiddi and Gummi’s respective reactions, pit them against each other in a battle to the death or (improbable as it sounds) compel them to reach some gnarled form of rapprochement? Rams, which received its Bay Area premiere at the Mill Valley Film Festival last fall after a starry run through Cannes, Telluride and Toronto, is not the kind of movie that engenders strong emotions. A controlled, calculated mix of strikingly impressive landscape shots and (too-)on-the-nose, plot-advancing conversations, Rams aims to insinuate us into a place and attune us to its rhythms. As with everyday life in a farm community, small incidents become major plot points. Hákonarson’s great achievement is keeping his film from pitching too far in any one direction. You can’t describe Rams as austere or melancholy, primitive or sentimental, neorealistic or metaphorical. (Hold that last thought for a second.) Consequently, the film isn’t burdened with the weight of symbolism, or the thematic baggage of the American Western. It doesn’t present itself as a parable of civilization under pressure, or an allegory for the cooperation we’ll need to muster to survive climate change. Nor, for that matter, does it aspire to be a profound statement about the hate-love dynamic that fuels and splinters families. Check that. While Rams effortlessly holds our attention throughout, it doesn’t evince either ambition or brilliance. 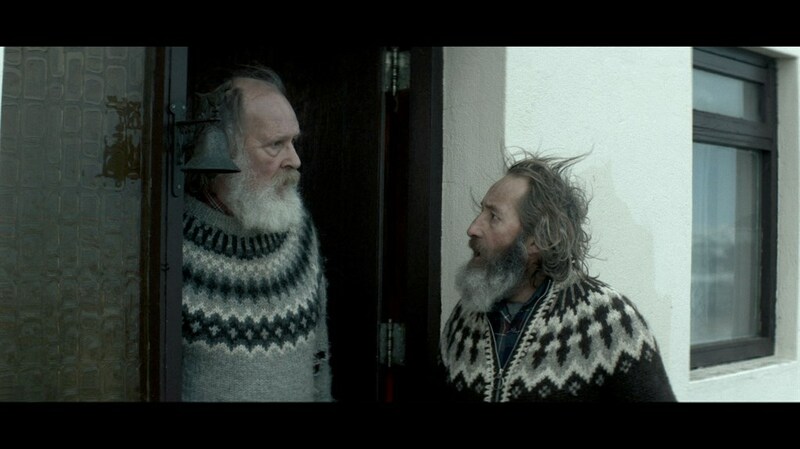 The ending, however, elevates the film to the level of a Nordic myth. Regardless how you choose to interpret the final shot, any reading has to encompass the primal force at the center of a family. All the plodding, matter-of-fact detail is vaporized in the fire of ice that conjoins Gummi and Kiddi for eternity. Or, perhaps, ’til morning. Either way, pair Rams with Bruce Sinofsky and Joe Berlinger’s 1992 documentary, Brother’s Keeper, the perfectly discomfiting fraternal double bill. 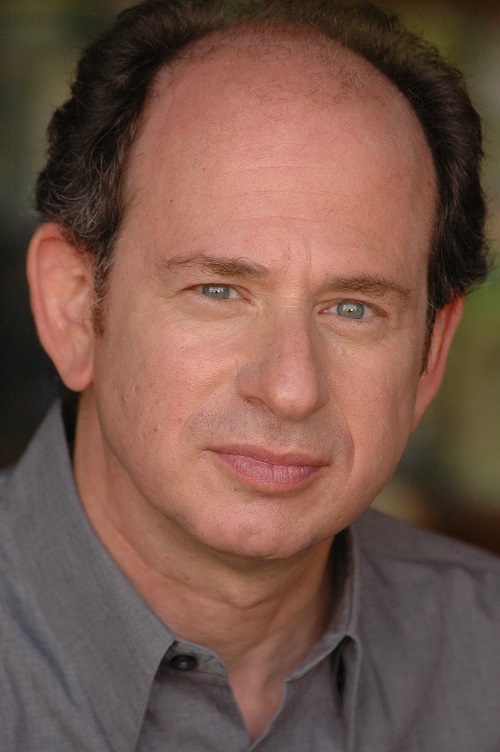 Michael Fox is a longtime film critic, journalist and teacher. He also curates and hosts the Friday night CinemaLit film series at the Mechanics Institute in downtown San Francisco. A particularly striking feature, Benedikt Erlingsson’s 2013 film Of Horses and Men seemed to encapsulate so many characteristics of the nation’s cinema (and the nation itself) even as it arrived at something almost wholly original. Told with minimal dialogue, its half-dozen or so interlocking stories blended pastoral beauty, rakish black comedy and primal life-or-death drama in sketching the tight weave between mankind and a noble beast in and around a small agrarian village. It vividly conveyed nature’s immediacy in a country whose citizen majority (outside big-city Reykjavik) lives in subpolar oceanic environs of geysers, glaciers and temperatures that can dip 60 degrees below freezing. Anyone who experienced Of Horses and Men — an unfortunate few here, as it was barely seen beyond festival screenings in the U.S. — will be struck by its overlaps with the new Rams (Hrutar) which is already getting considerably wider exposure. Grimur Hakonarson’s film is also about a rural community inextricably bound with its principal (albeit different) livestock; it strikes almost the exact same deft tonal balance between intimacy, parable, lyricism, grotesque humor and startling melodrama. The main difference (beyond species focus) is that in place of Horses’ multipanel narrative, Rams has just one tale to tell, albeit one whose arc ultimately encompasses as many unpredictable turns as the prior film’s more complex structure allowed. Winner of the Un Certain Regard award at Cannes last year, Rams is at once beguilingly odd and a richly satisfying exercise in straightforward old-fashioned storytelling. Its protagonists are two 60-something shepherds who live side-by-side on adjacent farms in a valley where tending sheep seems to be the primary, time-tested occupation. But such small operations are dying out all around the country, further isolating these men who’ve lived such solitary lives already. You’d think they’d at least have each other, but no: Blustering, boastful, frequently inebriated Kiddi (Theodór Júlíusson) and the classically introverted, gentle Gummi (Sigurður Sigurjónsson) haven’t spoken for more than 40 years. This is particularly unfortunate as they’re brothers, presumably each other’s only surviving kin. But a long-ago offense (not revealed until late) commenced a grudge match that time has hardened into the dominating force in their lives — aside from their sheep, of course. Something happening to the latter is perhaps the only thing that could make relations between the two even worse … or potentially better. When a gloating Kiddi once again wins a local Ram of the Year contest, Gummi sneaks off to conduct a private examination of the animal. What he inadvertently discovers throws the whole community into crisis, while ratcheting up fraternal tensions to the level of warfare. As each of them is driven to more and more extreme measures, a way of life that has probably sustained their family may be coming to a turbulent end. On the other hand, blood is thicker than water — and warmer than can be frozen forever by the coldest feud, or harshest Icelandic blizzard. These brothers are more alike than they’d like to admit. The bond that has turned to enmity may still be stronger than fate’s attempts to permanently sever it. 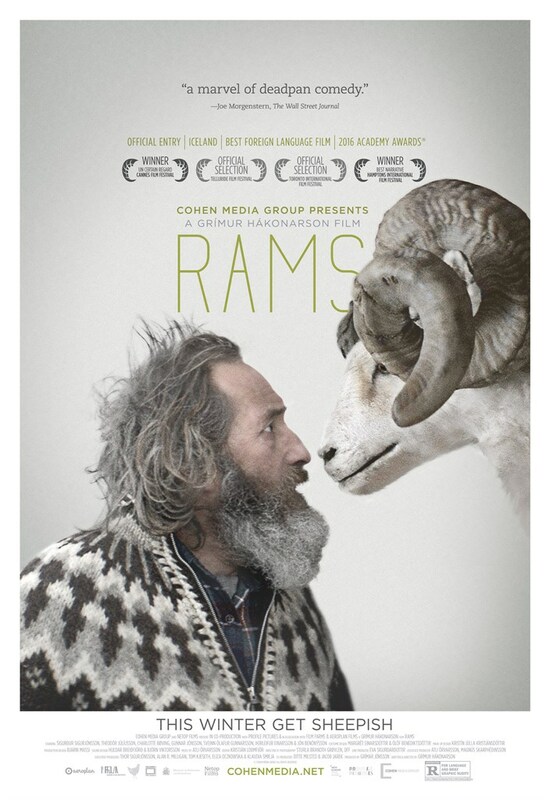 A deceptively small-scale movie with large themes, simultaneously droll (there are some big laughs here that require no dialogue whatsoever) and almost epic in its tragic undercurrents, Rams is not quite so bracingly original as Of Horses and Men — but its slightly warmer, simpler nature offers the same rewards in a more accessible form. Icelandic cinema remains hardly large enough yet to play “count the classics,” but this poignant, weird, funny tale will surely someday count as one. This entry was posted in Uncategorized and tagged Critics Corner, Dennis Harvey, Films, Michael Fox, Rams. Bookmark the permalink.